Happy National Mutt Day! Woo Hoo! 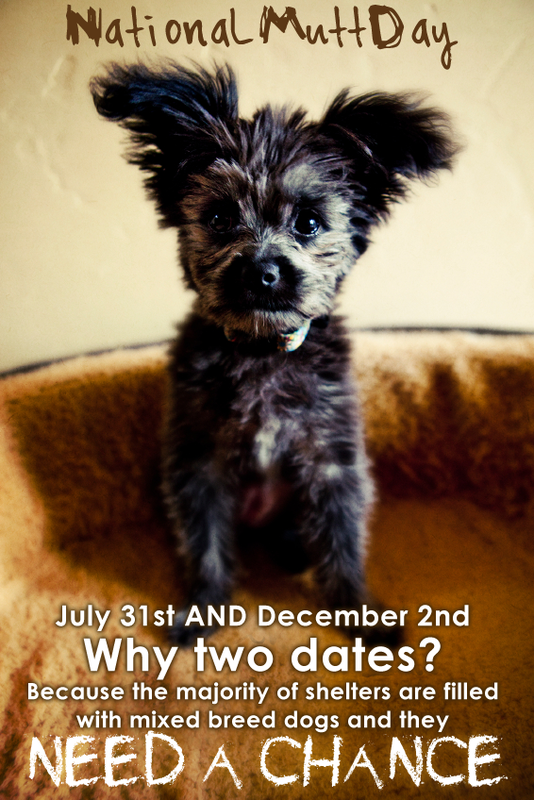 This is the only pet holiday with two dates, to help save as many Mutts as possible! Check out this link to learn how to celebrate with your special friend and ways that you can help those mutts still looking for their forever home! This entry was posted on December 2, 2013 at 8:40 pm and is filed under Uncategorized. You can follow any responses to this entry through the RSS 2.0 feed. You can leave a response, or trackback from your own site.